I decided to speed up a repetitive task I have been doing lately…. Moving windows around and repositioning them. In my current job I have a nice adequate apple macbook pro attacked to a 27" thunderbolt screen. I appreciate the extra space but it comes at a cost, whenever I run to a meeting with my laptop or take my laptop home all my application windows get repositioned. 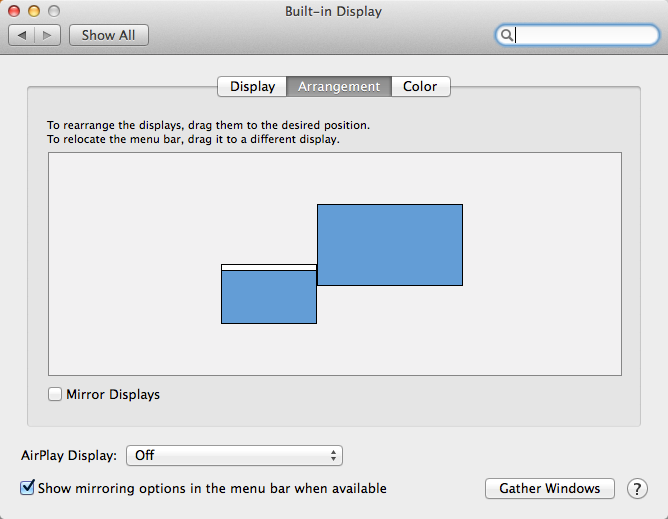 Then when I plug back into the big monitor or reboot my machine I have to move all my windows to the positions I prefer. 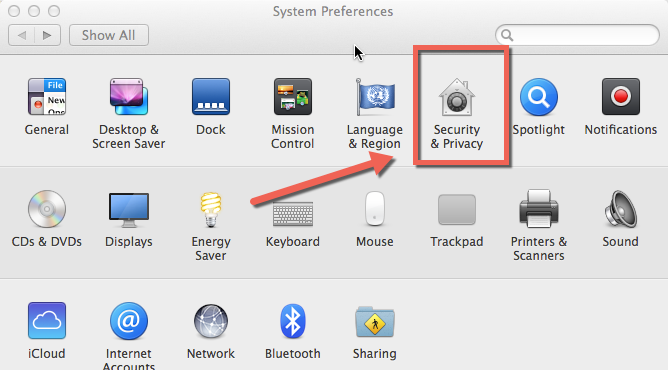 Click on the apple icon in the upper right and select "System Preferences"
Click on Accessibility, unlock it by clicking the lock and entering your password. 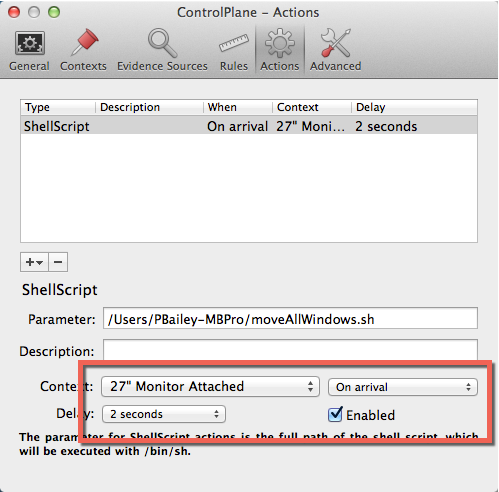 Then checkbox "Terminal"
Now Terminal has more permissions to have its scripts effect other programs. First I am going to tackle moving and resizing the terminal. 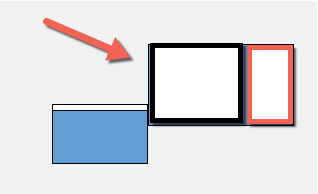 The position can get a little confused as it crossed the screen boundaries. 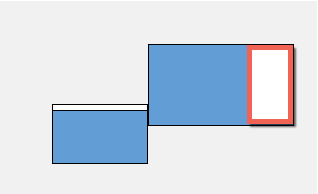 One way I solved this was to just use a large negative number which forces it up against the bottom of the menu bar. Ok now to run this code from the command line. The terminal ends up roughly here on the 27" screen. Moving my Intellij Windows was a little more of a chore, but I did get it working. 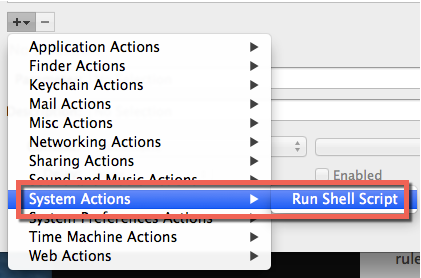 set ideaPIDs to every process whose name contains "idea"
This will move every Intellij Window and resize it. After it resizes them all it will bring the application to the front. Now to run this code from the command line. 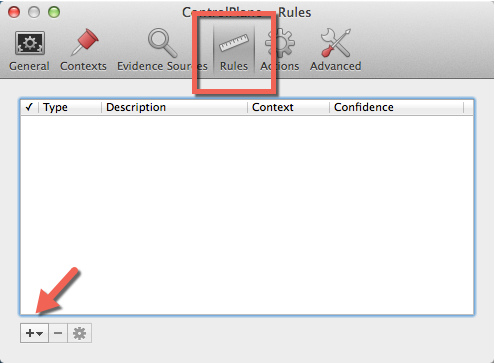 If you look at the code you will see that you can't talk directly to Intellij. It is not applescript aware. 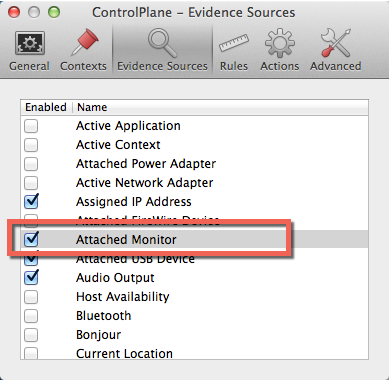 But we can tweak a few things, like the windows, by using the "System Events" application. Intellij now takes up this portion of my 27" monitor. I am running Skype in fullscreen mode because I can take advantage of spaces… I really do like spaces. They really help my workflow. Unfortunately I have spent the last several years developing on a windows machine and I missed a lot of the UI goodness of OS X. But now I am developing again on a Mac, so I get my spaces back… enough of the nostalgia. At any rate I want to make my Skype full screen via a script. 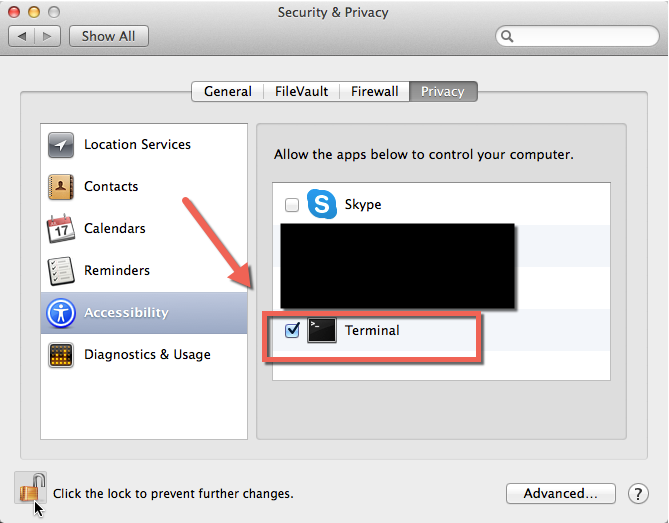 tell application "System Events" to tell process "Skype"
It goes fullscreen just fine, and it occupies its own "Space" . I would also like it to move itself to the first space, but I have not figured out how to do that yet. If you have a solution please send it my way! … looking at this code I need to fix something. This will go full screen on the screen skype currently is. I want to move it to my laptop monitor first then resize it. The following code seemed to fixed that. I don't know about you but I just like s simple bash script to run all three at once. Here is my simple bash script. Then remember to make it executable, then run it. And voila all my windows are moved into the correct position. I used a script from this forum http://forums.macrumors.com/showthread.php?t=711954  See Kainjow. Wouldn't it be nice to have this script run when I plug the monitor in? 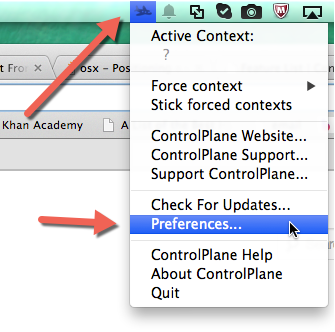 After downloading and starting this program click on the plane icon in the menu bar. 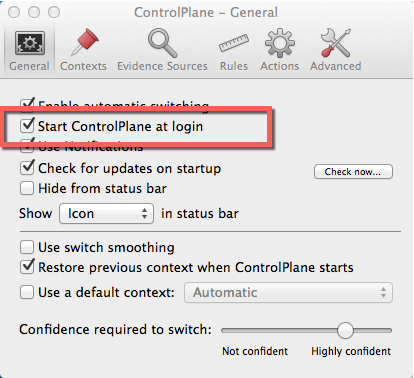 First things first, Checkbox the "Start ControlPlane at login. 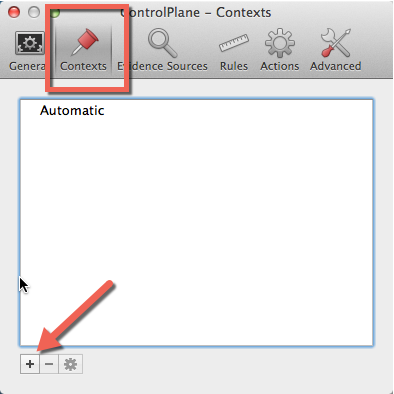 I found this great site that will walk you through how to use ControlPlane. 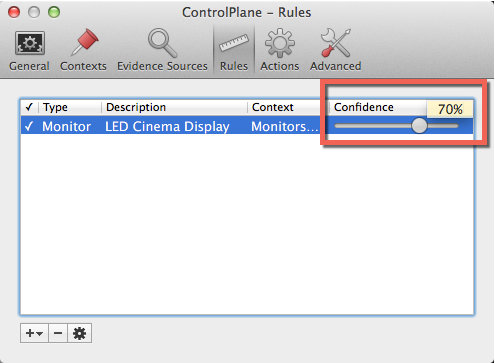 Here is how I set mine up to change when the monitor was plugged in. 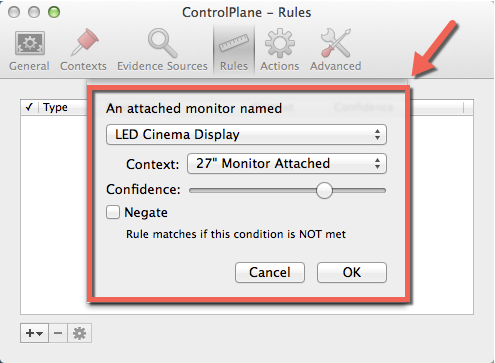 Give the Context a name and click OK.
Click "Add Attached Monitor Rule"
Cool, it sees my cinema display and fills out all the data just fine! Oh and it chose the context I created earlier …. Cool! 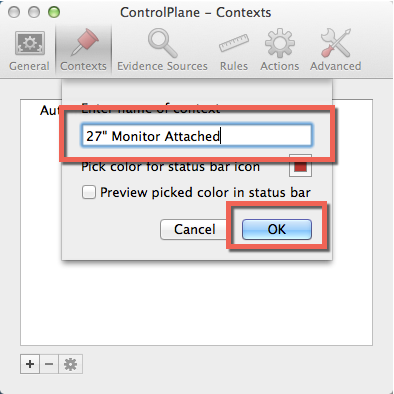 Select System Actions and then "Run Shell Script"
Unplugging the monitor and plugging it in again did nothing… sigh… OK what is the problem? Looking at the menu it looks like I can force the script to run by forcing the context. That gave me this error. I found the log its under the Advanced tab, scroll down and you can see I got a non-zero status error. I figured it out I need to put in absolute paths in my script. 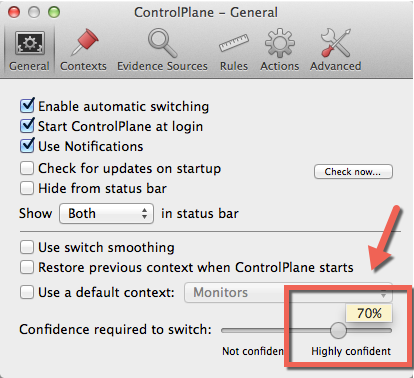 I need to Open my system Preferences and give Control Plane some additional permission. 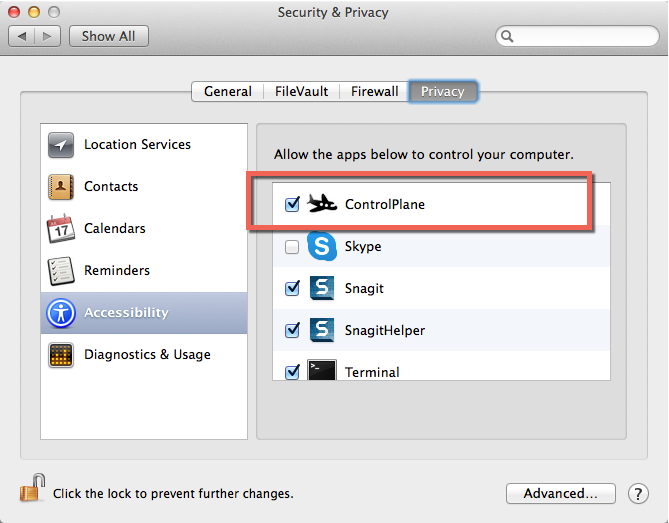 From Security & Privacy select Accessibility and checkbox "Control Plane" To give it permission to move windows around. 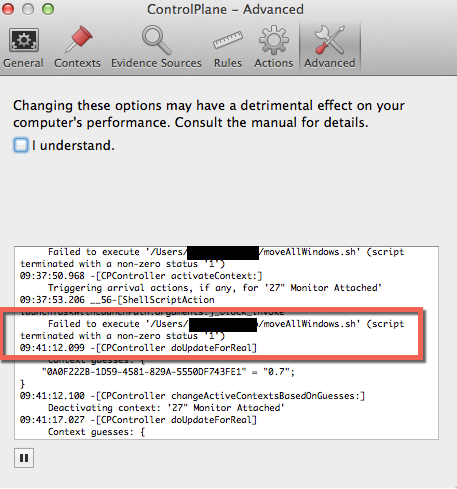 Now forcing the script works, but plugging the monitor in and out does not. Finally its working like I want. This is a pretty cool tool I can imagine a few more fun things to do with this tool! I removed the 2 second delay and it still works just fine. It does take 2-4 seconds after the screen is attached and working to recognize it and run the script, but that is acceptable for my needs. 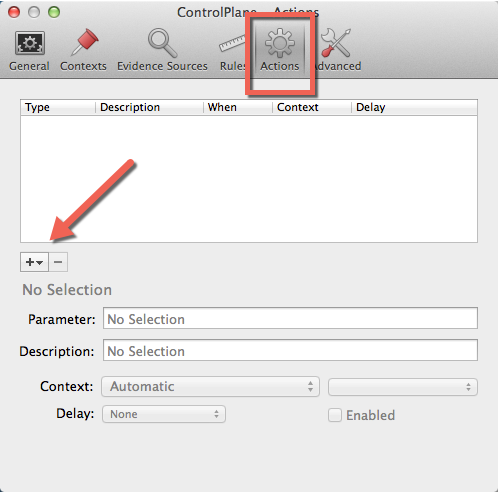 Applescript - list of running apps?